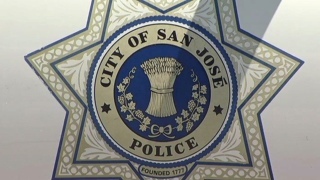 A pedestrian died early Sunday morning at a hospital following a hit-and-run collision in San Jose, police said. Officers were dispatched at 12:23 a.m. to Monterey Road and Stauffer Boulevard where they found a man suffering from serious injuries. He was taken to a hospital where he died, according to police. Investigators found that the man was in the road when he was hit by a vehicle on southbound Monterey Road. The driver of the vehicle left the scene and did not return, police said. Officers have not arrested any suspects in the collision. The victim's name will not be released until the coroner has identified him and his family has been told. The death is the city's 10th fatal collision and ninth fatal automobile versus pedestrian collision this year. Police said no other information is available. Anyone with information about the collision is asked to call Detective Kelvin Pham at (408) 277-4654. People can make a tip anonymously by calling Crime Stoppers at (408) 947-7867. Callers who provide information leading to the arrest and conviction of a suspect may be eligible for a cash reward.